Taking a dip at a Chicago beach in the dead of winter isn't a great idea unless you want to end up with hypothermia, but you can emulate one of your favorite warm-weather pastimes at Navy Pier's latest art installation. 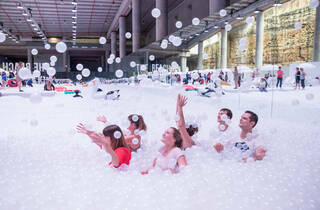 Design group Snarkitecture will set up an interactive piece called “The Beach Chicago” for two weeks in January, allowing visitors to jump into a sea of more than 1 million antimicrobial plastic balls. 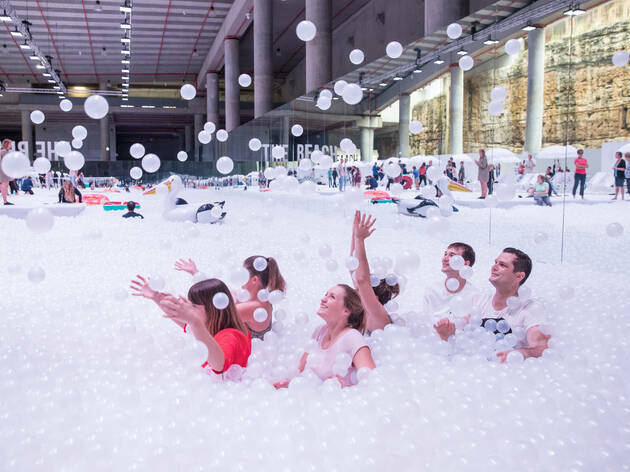 The tropical ball pit is surrounded by deck chairs, umbrellas and a lifeguard station—you'll just have to imagine the sweltering heat of a Chicago summer.